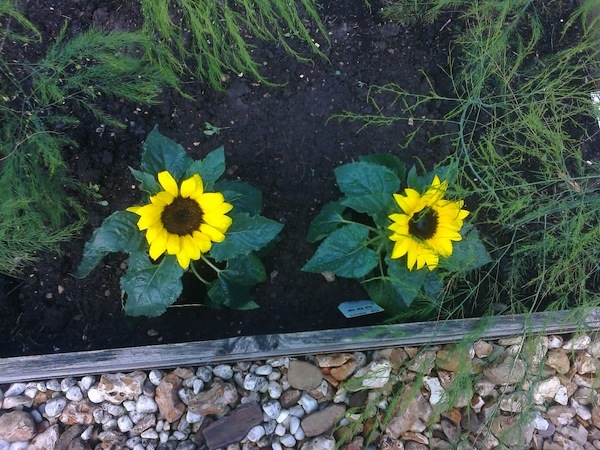 I love sunflowers, but they’re not doing so well in the garden at the moment. So I popped into Tesco on the way back from work and bought a couple on offer to plant in the allotment. I’ve put them in the asparagus bed which was there before the allotment became ours. We’re told the asparagus is one of those plants which takes a couple of years to get going, so we’re going to leave it in and work out what to do with it next year. I do love asparagus though the season is so short, so I’m hoping it will be all right. In other news, the Elstead Allotment Show is scheduled for Friday 5 September from 5pm onwards, though the public (ah, those eager crowds!…) are only allowed in from 6.30pm once the judging is done. Judging – yikes! 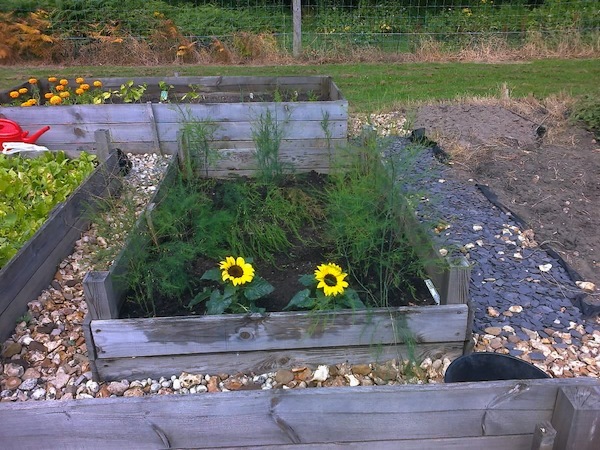 Categories: Allotments, Gardening | Tags: asparagus, shows, sunflowers | Permalink. We have fabulous asparagus from allotment, it is one of the first things to be rewarded with in the Spring!! Leave them be now, let them die back and they will pop up and say hello before you know it!! You will be able to harvest them next year – delicious! Thank you! Yes, I think it was you and Jacqui who said to leave them in. I was worried they might suffer over winter, but apparently, as you say, not! :)) Looking forward to seeing what they produce next year for sure. Plan to go up at weekend and tidy the edges – but looks like will definitely need suncream!